Ocean Lovers Show: This Saturday! Ocean Show at the Danversport Marina. 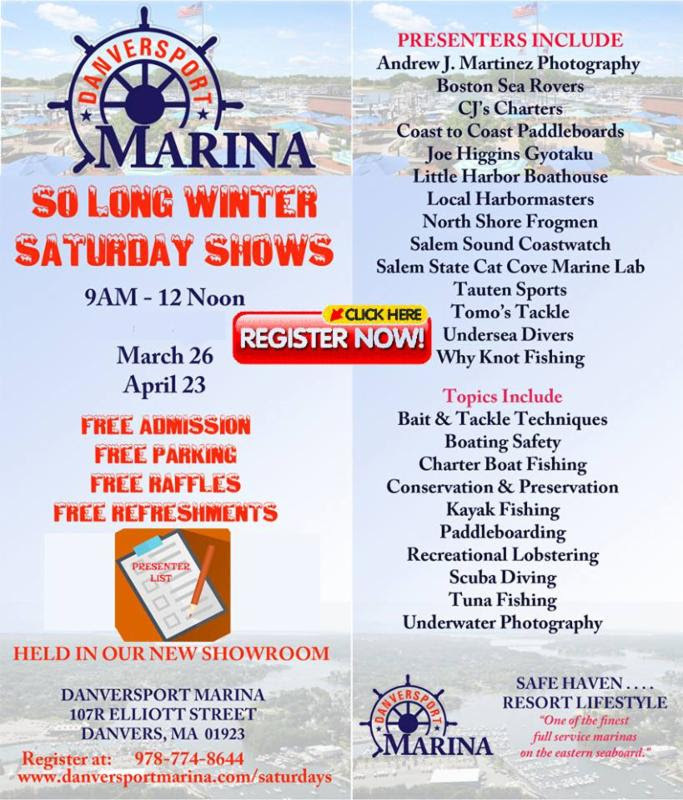 Join us this Saturday March 26th from 9am-12pm at the Danversport Marina Showroom. Walk around the booth of local businesses.There will be light refreshments, free parking and free admission. If you love the ocean, come check out this show!